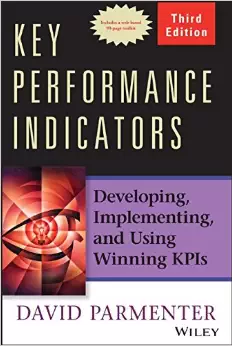 This book written by the King of KPIs, David Parmenter, gives a clear set of steps for the KPI team to follow. It is the only book that shares the entire methodology of how to complete a KPI project successfully. The book comes with a 90 page KPI team resource kit (questionnaires, workshop timetables & agendas, checklists, and project worksheets). 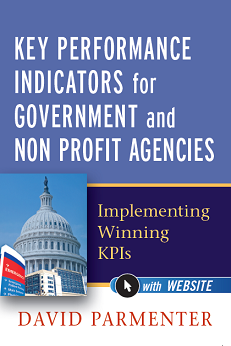 This book written by the King of KPIs, David Parmenter, gives a clear set of steps for KPI teams in government and non-profit agencies to follow. This book has content and case studies specifically for these agencies and comes with a 90 page KPI team resource kit (questionnaires, workshop timetables & agendas, checklists, and project worksheets). 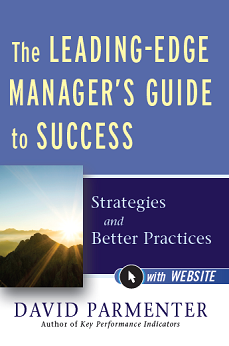 This book is based on those practices you need to master as you climb the management mountain, culminating in what makes a CEO special. 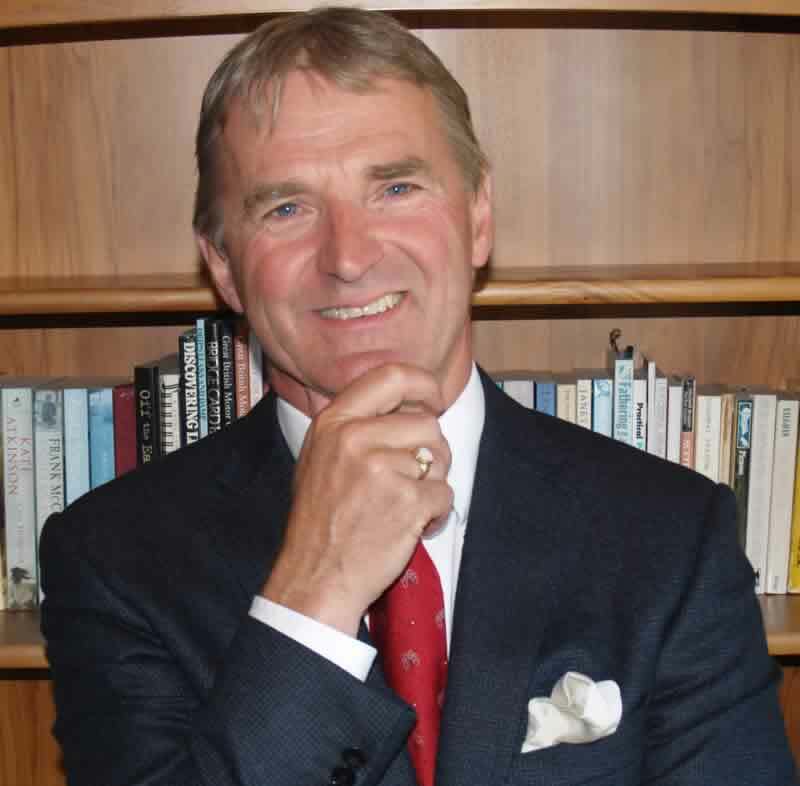 The book comes with a complementary resource kit which is periodically updated with David Parmenter's latest research into management and leadership issues. The kit has articles, checklists, and templates to help you on your journey. This book written by David Parmenter is the most transformative guidebook in corporate accounting. Performance management leader, David Parmenter has designed this toolkit to be a practical guide for corporate accountants, from CFOs to the management accountant. 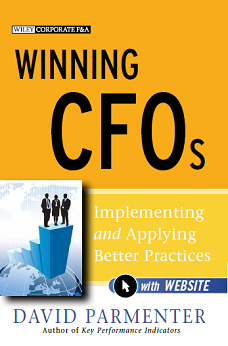 This book provides over 100 lean finance team solutions. There is a complementary PDF toolkit filled with templates and checklists to kick start the implementation process. Winning CFOs equips CFOs, controllers, and corporate accountants to radically transform their contribution to their organisation. 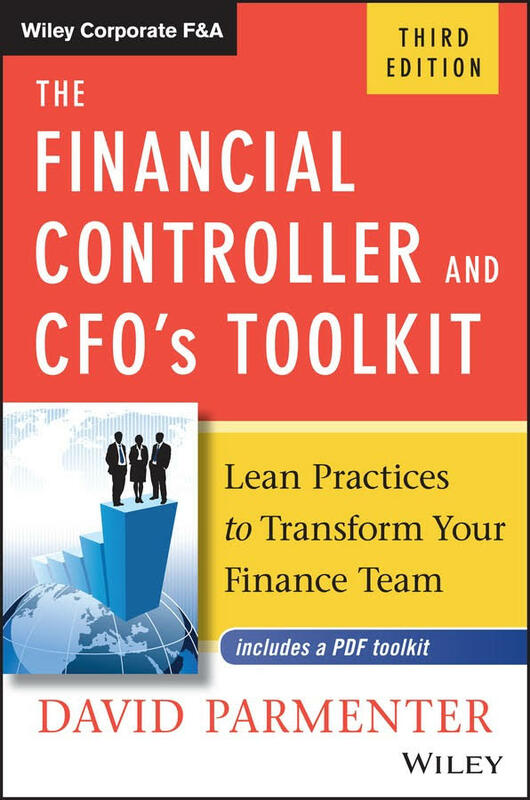 This book has been superseded by The Financial Controller and CFO’s Toolkit: Lean Practices to Transform Your Finance Team.